FOUNTAIN VALLEY, Calif., Dec. 3, 2018 /PRNewswire/ -- On Super Bowl Sunday, Hyundai will continue entertaining fans on the biggest day in advertising with a new 60-second spot that will run in the first quarter of the game. Hyundai, the official car and SUV of the NFL, will also a run a 30-second pre-game commercial and will have Super Bowl experiential marketing activations in Atlanta. "After more than a decade of Super Bowl experience and well-regarded creative executions, we are excited to return to the Big Game with fresh, new content that uses the successful formula we've refined over the years," said Dean Evans, CMO, Hyundai Motor America. "The Super Bowl is America's largest stage that allows us to entertain a massive audience while sharing our latest brand and product messages." Last year, Hyundai featured its non-profit organization, Hyundai Hope On Wheels, in "Hope Detector." In the emotional spot, football fans were identified by Hope Detectors that detected the hope that Hyundai owners provide through donations to pediatric cancer research with the purchase of every Hyundai vehicle during the past 20 years. The owners were surprised by real-life pediatric cancer survivors who thanked them for their contributions. The piece resulted in more than 26.7 million views across various platforms and finished as the No. 2 ranked automotive brand commercial on the USA TODAY Ad Meter. Hyundai also ran a pre-game spot, "Ref to the Rescue," featuring its first-ever subcompact SUV, Kona. In 2017, Hyundai's "Operation Better," a 90-second documentary that ran at the conclusion of the first overtime game in Super Bowl history, was an emotional reunion and tribute to the U.S. military. Hyundai shot, edited and produced the piece during the game and captured a surprise moment when overseas troops watching the game in custom-built, 360-degree immersive pods were reunited with their families who were at the stadium. Response to and engagement with the piece were overwhelmingly positive, as it was viewed more than 74 million times across various channels. It was also deemed the most effective ad in emotional and practical metrics by Adweek (based on Unruly's EQ Score) and most attention getting by TVision Insights. The year prior, Hyundai became the first automaker to win the USA TODAY Ad Meter, when its spot "First Date" beat more than 60 other Super Bowl 50 commercials. 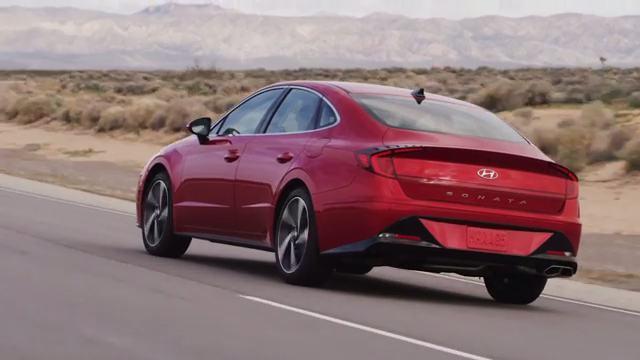 Hyundai's impressive performance that year also included fifth- and sixth-place finishes for "Ryanville" and "The Chase," respectively, giving Hyundai the top three automotive ads and making it the only advertiser to have three spots place in the top 10. Hyundai's Super Bowl advertising campaign is currently under development by its agency of record, INNOCEAN Worldwide, which was also responsible for Hyundai's recent standout performances. The Super Bowl LIII will be played on February 3, 2019 in Atlanta and will be broadcast on CBS.